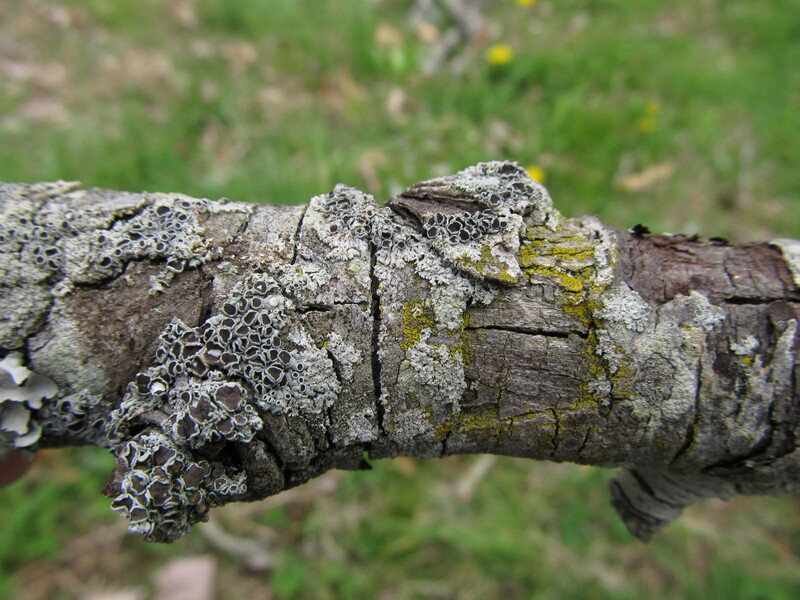 This lichen grew on a dead tree, near a trail, along a lake. 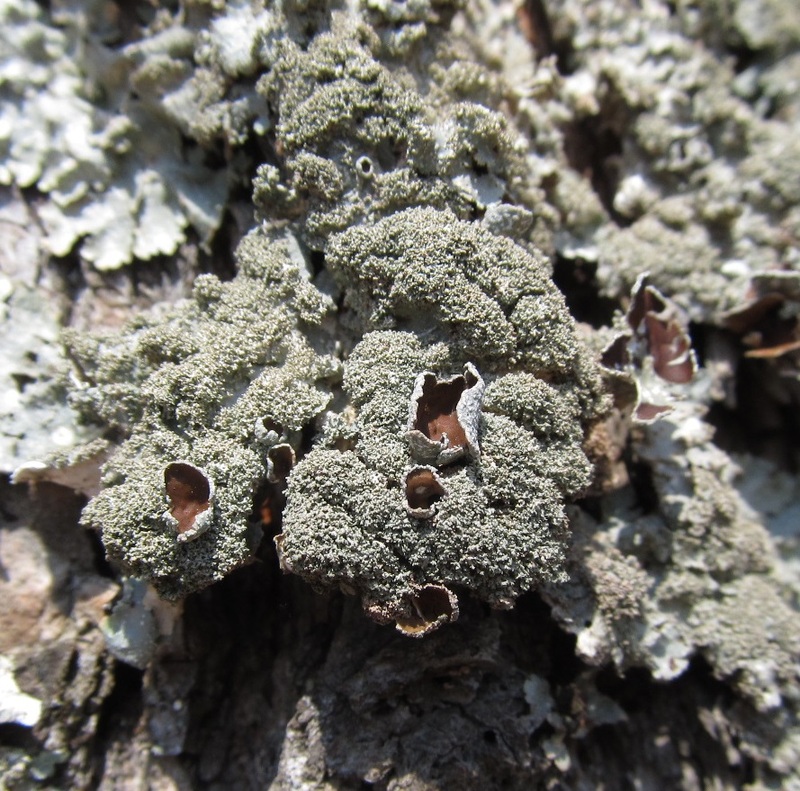 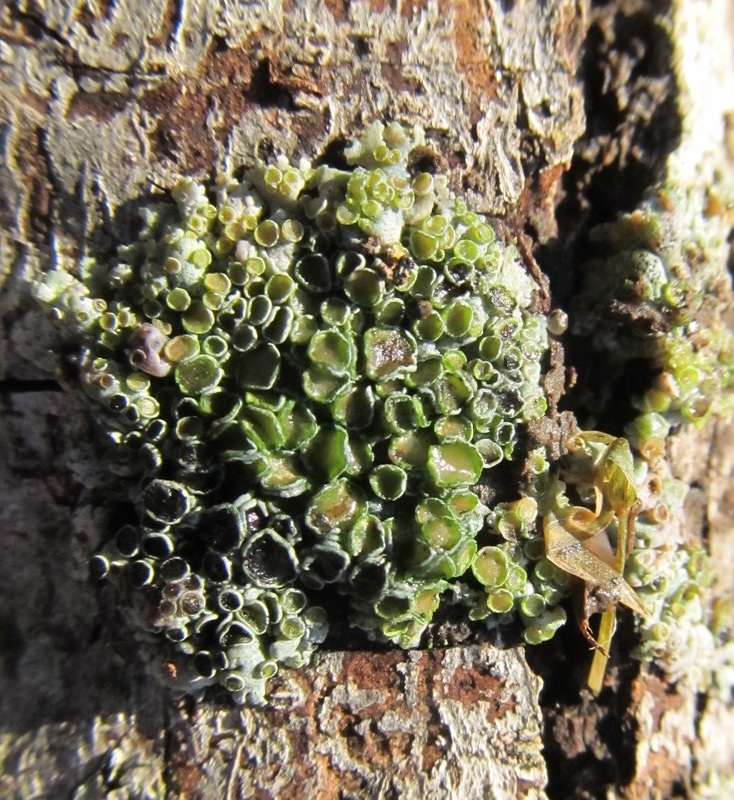 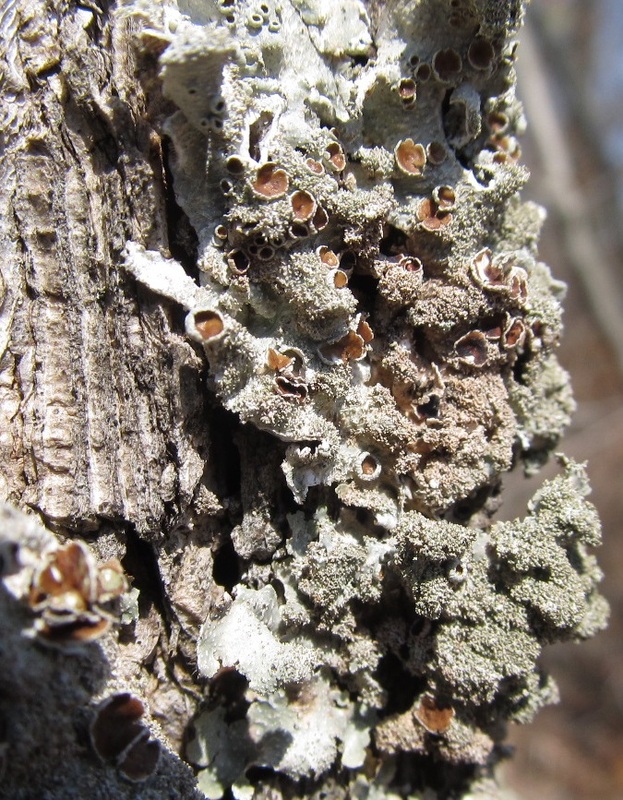 I was able to identify it with my Lichens of the North Woods book. 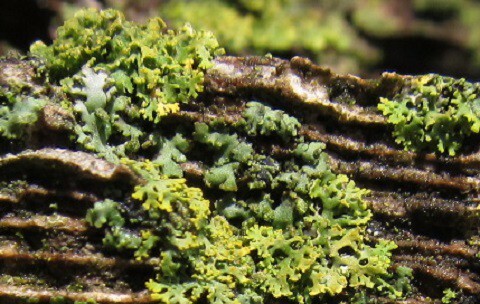 It’s a Smooth Axil-bristle Lichen (Myelochroa galbina). 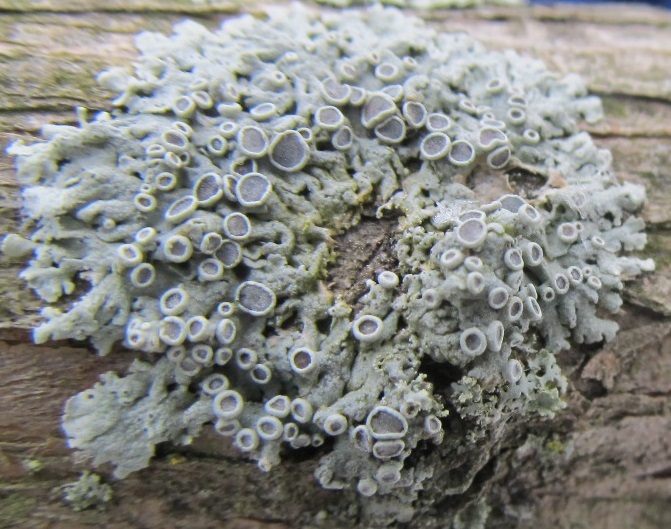 The size of the fruiting bodies varied considerably. 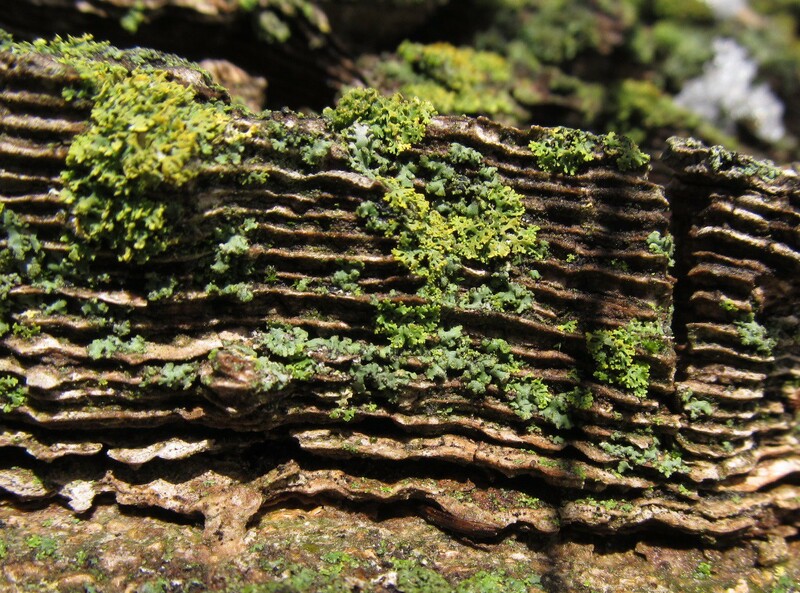 It looks as if the cups opened, and a thin “sheet” of spores flaked off. 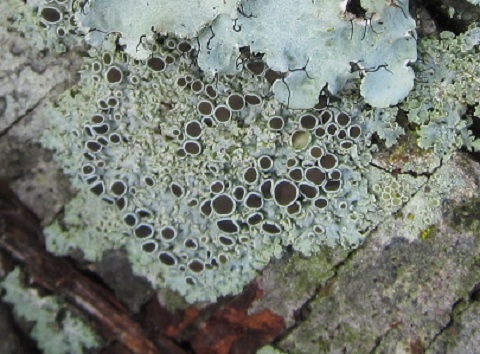 It was quite a variable lichen. 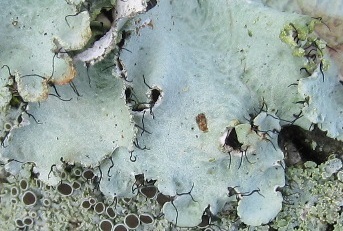 One of my lichen books calls these blister lichens. 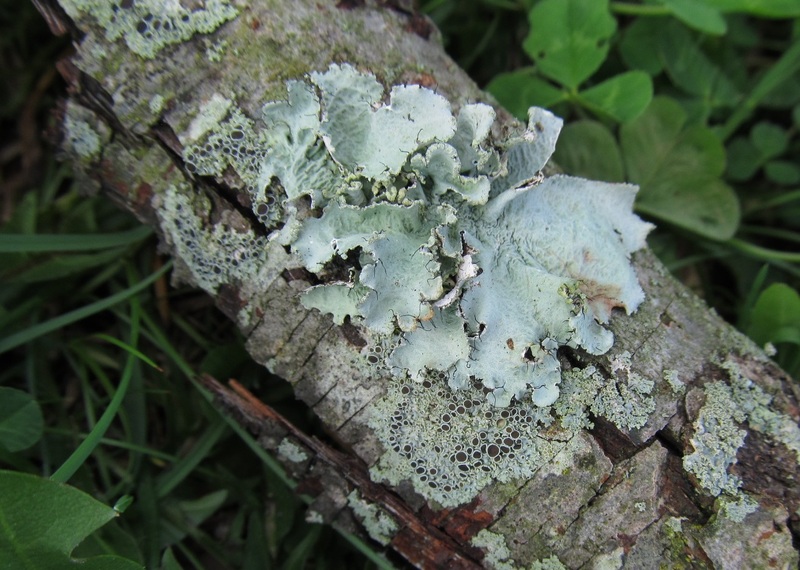 The other one calls them star rosette lichens. 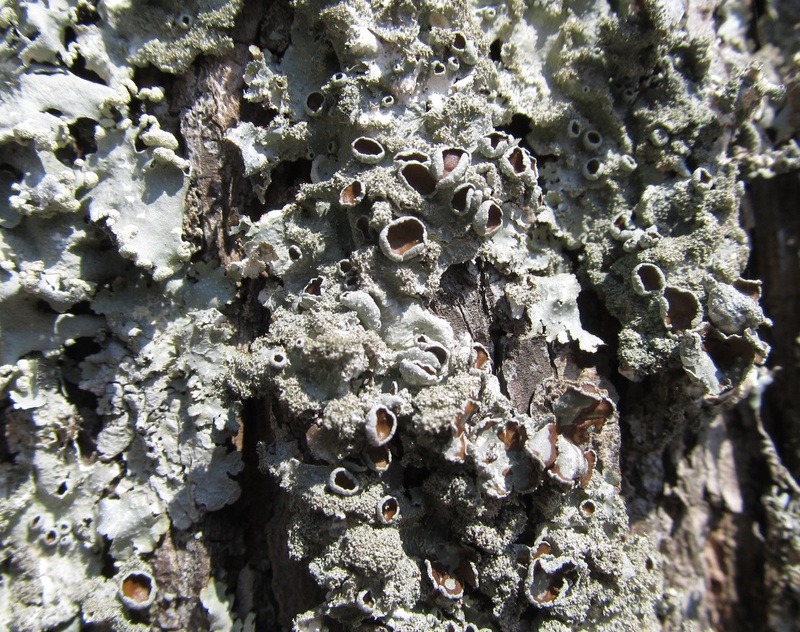 Their scientific name is Physcia stellaris. 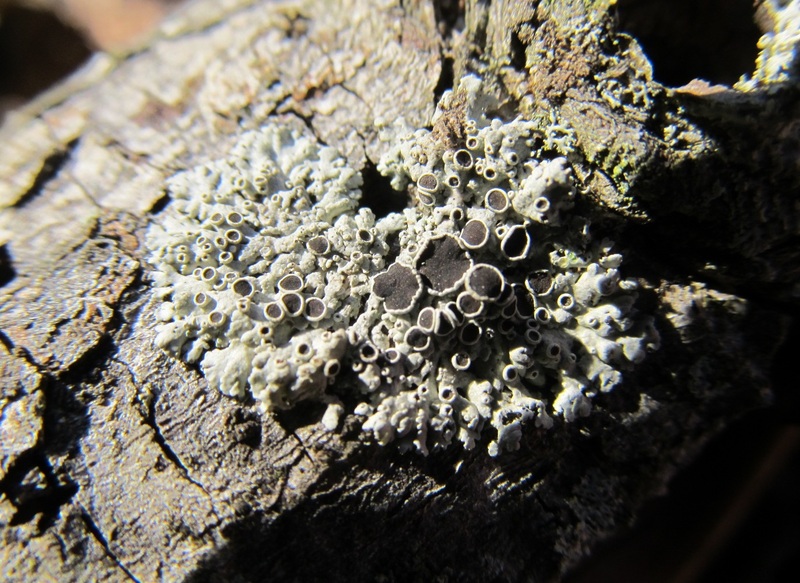 Black is the most common blister lichen I find here in southern Illinois. 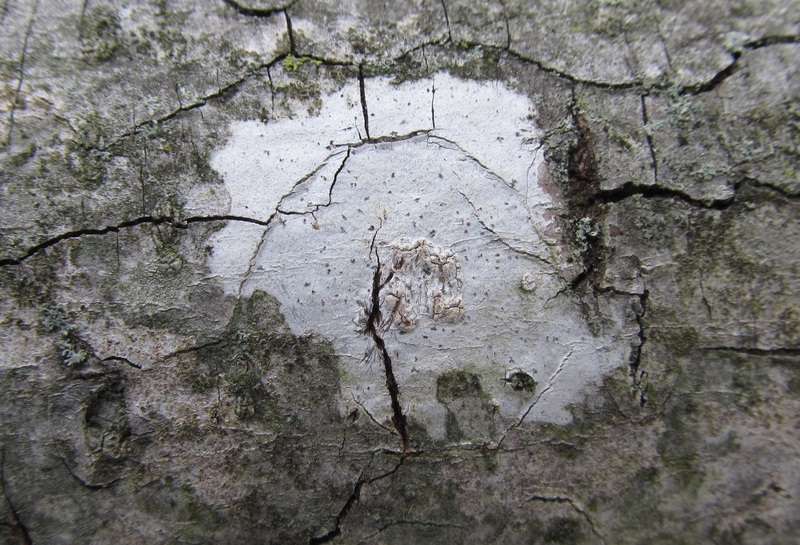 The discs are called apothecia and are where the spores are produced. 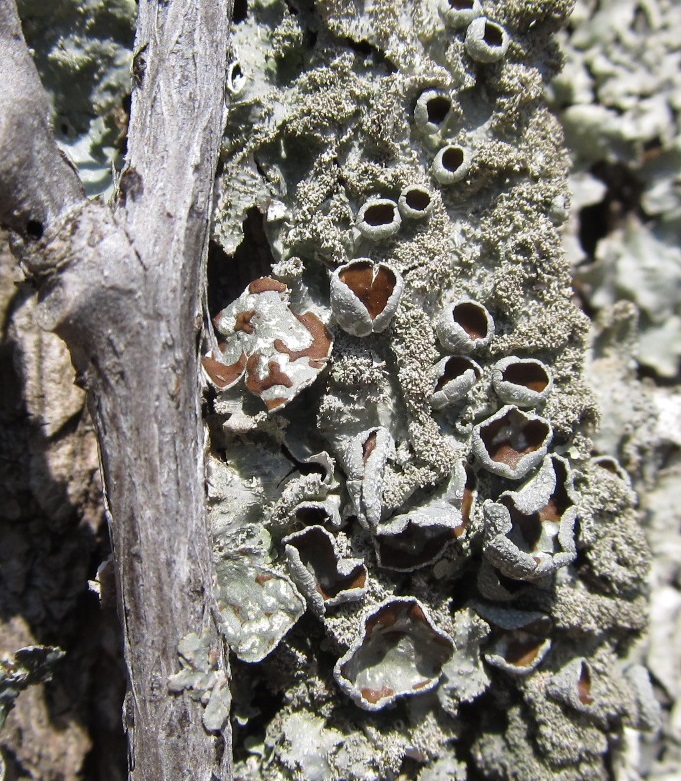 Then I found a blister lichen with gray discs in the backyard yesterday. 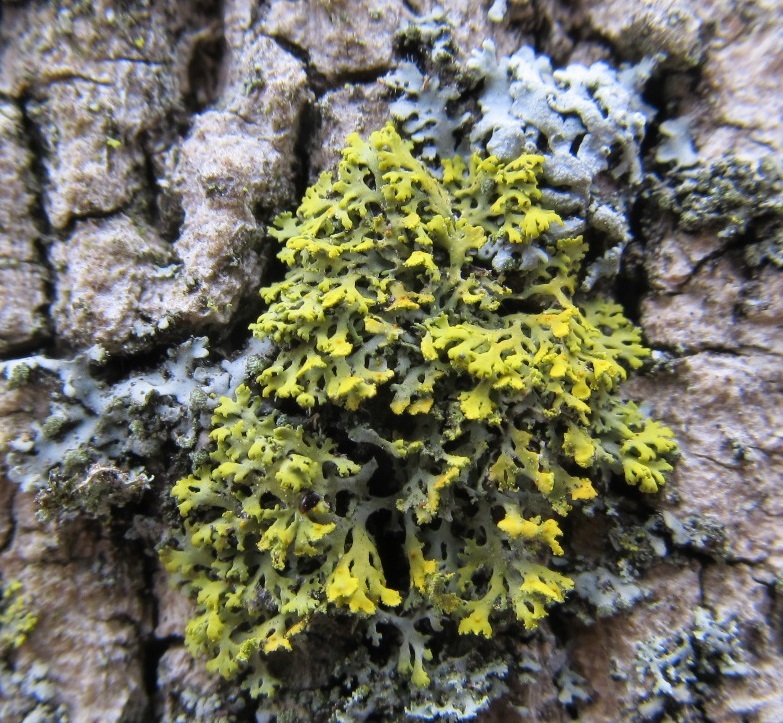 Now I wonder what other colors that I might find?